I don’t write, normally, about dead people but I will make an exception here. Yes, you may argue that I already have done in this post. That one is actually different. 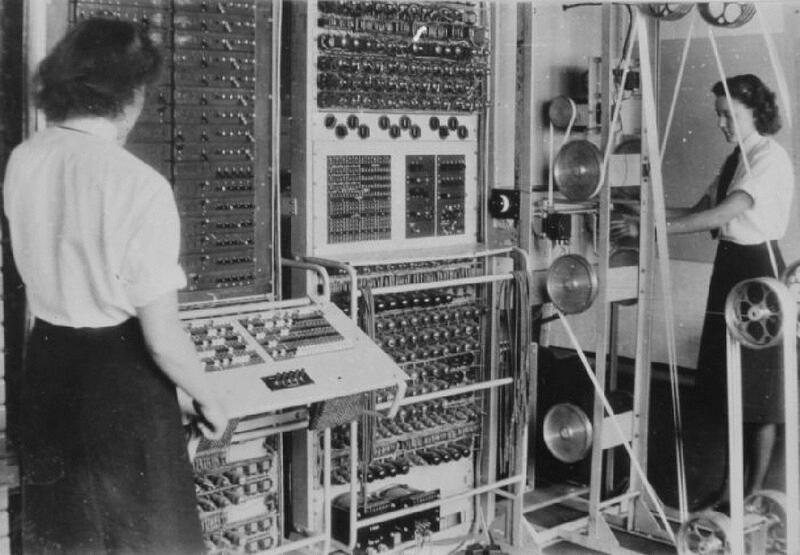 This post is about someone who most people will never have heard of but may know her from one of the very few photographs of the code-breaking machine Colossus that existed when the machine was in use during the second World War. She appears on the below picture. One of only two or, possibly, three images of the machine at work. Dorothy, as well as Elsie who also appears in the photo, were two of the thousands of WRENs that helped keep Station X, Bletchley Park, running. With the site being under such heavy security there are very few images that have survived or even existed during the time that the site was in use. Here she is talking about some of her time working at Station X during the war as well the event she was recorded at. She also talks about the reunions and not recognising people who she worked with until they say who they are. Probably because people change quite a lot in seventy years! She mentions the Numenary as well as working on her “own” Colossus and what she did after the war. In her obituary from the Brighton Argus describes her as “Modest”. That does seem to be the underlying trait of all the people who worked at the site during the war. Quietly working away trying to help win the war in whatever small way they could.